It happened on my second trip to Japan in 2005. Even though we had to provide passport documentation for the issuance of the air tickets from Tokyo to Fukuoka, the travel agent asked for some assistance in pronouncing the name. Somehow, “Steve Gillick” was not working, so it was broken down as Sa-Tee-Bu Gi-ri-kou. Sure enough when we picked up the tickets at Haneda Airport, the ticket clearly identified me as Satebu Girrikou. Unfortunately the ticket had to be re-issued according to the name on my passport, but with my friends in Japan, the name stuck. Changing the subject slightly, I have noted in past articles and presentations that movies play a major role in promoting interest in travel and that travel professionals don’t always take advantage of this. And when your mind and soul think ‘travel’ all the time, you can’t help but see movies from the perspective of travel. After seeing the movie Avatar, I wrote about “Avatourism”. And now, after enjoying the documentary “Jiro Dreams of Sushi”, I am submitting my account of the lessons of the film in terms of travel and tourism as well as travel agency management. The documentary is a travel coach’s dream come true! Jiro refers to Jiro Ono, the master sushi chef or “shokunin” who has established himself as the concert master of the sushi world from his eponymous restaurant Jiro, located at Sukiyabashi district in the Ginza area of Tokyo. From a travel point of view, agents who wish to immerse their clients in the neighbourhoods of Tokyo, need only recommend the movie (or arrange for a showing with YOU hosting the event; or arrange to take your clients to a screening and then enjoy some local sushi and a discussion afterwards). You can see the sites of Ginza, Ropongi Hills, the early morning activities in the Tsukiji Fish Market, and even some scenery in Hamamatsu, the nearby town where Jiro grew up. From the culinary point of view, viewers will meet Fujita, the tuna dealer and Hiromichi, the rice dealer, but from a PRM (Partner (or supplier) Relationship Management) point of view, the lesson is in establishing long term relationships with suppliers who are like-minded about the quality of the products and services they offer. Both Hiromichi and Fujita match the exceptional needs of their client, Jiro, to the high quality of the tuna or rice required for the sushi. Hiromichi recounts that the Grand Hyatt Hotel asked for the same rice that Jiro uses in his sushi, but the request was denied. “If they can’t cook it the way it should be cooked, what’s the use in selling them the rice”? And Fujita notes that if there is a choice of ten top tuna in the morning auction at Tsukiji, “only one of the ten can be the best and that is what the client wants from me”. The practical lesson is matching the needs of the client (the agency, and ultimately the consumer) with the product that the supplier offers. It means the supplier needs to have a knowledgeable relationship with the agency and the agent, while at the same time the agency needs to choose the supplier who is willing to listen and learn and who, of course, has the product and the ability to fine -tune the product, to satisfy the agency requirements. Jiro continues by saying “Build a relationship of trust with your vendors as each is a specialist in his/her field”. Jiro talks about the concept of “umami”. Which refers to a delicate balance of flavours to produce the best sushi in the world. Is this not the same with travel agencies who strive to produce the ideal product-customer service-value proposition to the client as their own version of “travel umami”? From a management of view, the philosophy of Jiro should be must-viewing for everyone. 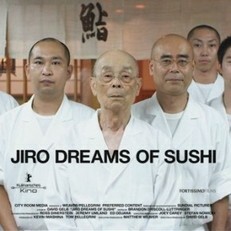 Jiro states near the beginning that “in dreams I would have visions of sushi”. It goes back to owning the career that you have chosen, sleeping, dreaming, breathing your career every minute. Jiro notes that “the key to being regarded honourably, and the key to success is mastering your skill”. In the sushi world, this skill mastery takes ten years, from apprenticeship to being regarded as a ‘shokunin’. • The importance of passion. The career you choose should be yours until you retire. Your passion should be the motivational factor that gets you excited to come to work each day and allows you to “dream of sushi” (or travel) as part of your being. • The importance of consistency. Clients should have at least as good an experience as the last time but ideally, the experience should be even better. • learn how to make the rice, mix the wasabi, determine the freshness of the fish, and configure the seating for the day in the 10-seat, $300.00 + per person, 3 star Michelin guide restaurant, all to ensure the most meaningful dining experience. The lesson of team work and making each performer in the agency a star attraction is poignant. Everyone in the agency is part of the mechanism that results in the consumer recommending your services to their friends: From the greeting they get on arrival, to the specialist that maps out their itinerary, to the issuance of the documents, to the atmosphere of the buying experience. And each return visit elicits the need for consistency of product and service at a minimum, with the improvement of same, as the ideal. Jiro says “Always strive to elevate your craft”. And through it all, Jiro has been training his eldest son, Yoshikazu, for the past 31 years to take over the restaurant once he retires. In other words, he has already mapped out his succession plan so that his philosophy of food and life and the satisfaction of his clients (some of whom book one year in advance) will carry on. So the lessons of this world renown sushi chef, garnered over 75 years in the business (he was 85 when the documentary was filmed) contain life lessons, business lessons and coaching for success truisms that will benefit any agency and its staff. Go see the documentary with your staff! As for me? I see most things in life through the perspective of travel. My dreams and your dreams of travel do not have to be dissimilar to Jiro’s dreams of sushi. Once it gets in your soul, you need to wake up every day excited and full of that infectious enthusiasm I am always referring to, and then think of how to improve your products and services to arrive at the most exquisite taste-- or travel experience-- imaginable—and then elevate it to the next level.